Clarence Richard Randall. Circa 1910. Son of Henry Oran Randall and Julia Ann Sewell, Clarence Richard Randall was born on April 17, 1890, in Franklin County, Georgia. 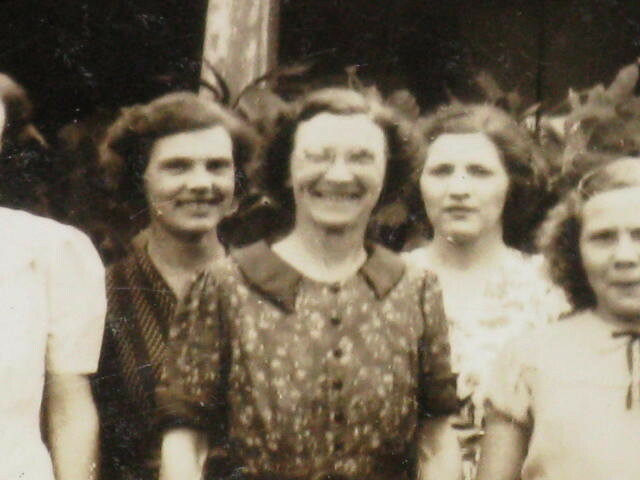 Clarence Richard Randall married Rilla Zuella Pierce (daughter of Robert H. Pierce (1862 - 1926)1) and Talula Pierce (1862 - 1906)2)). 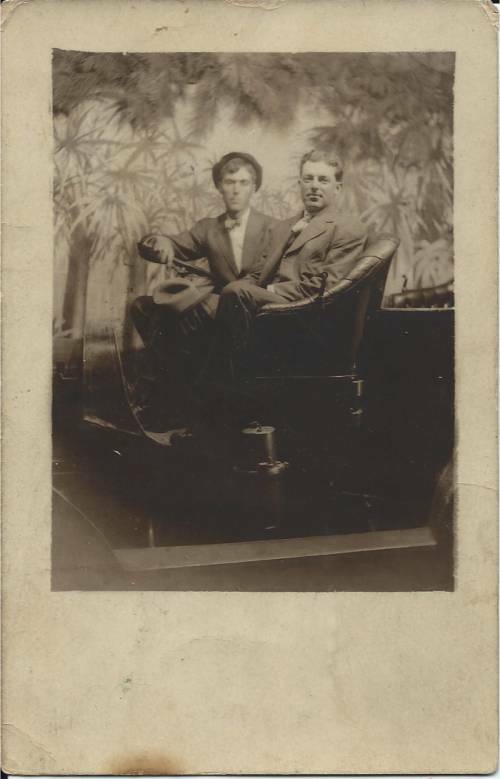 Clarence Richard Randall (left) with his friend, Will Clarke (right). Circa 1910. Draft Registration Card completed by Clarence Richard Randall on June 5, 1917. His Draft Registration Card indicated that he was living at 96 Lovejoy, Atlanta, GA working as a carpenter (for Dahl's Florist), and was married with 3 children (at that time). By 1920, he had moved back to Franklin County, Georgia. Clarence Richard Randall's family begins on line 98. Clarence Richard Randall's family continues on line 1. 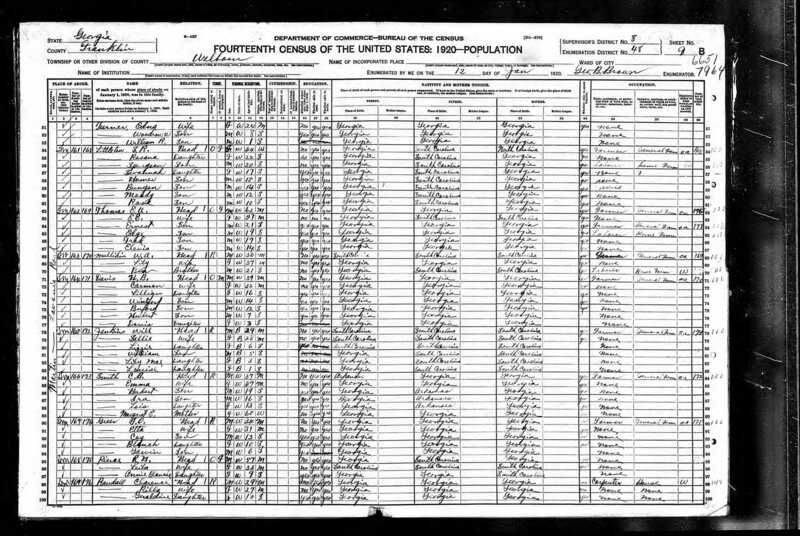 Note: The census indicates that he was living on the “Martin Lavonia Road” (between Martin, GA & Lavonia, GA - near Gum Log, GA). 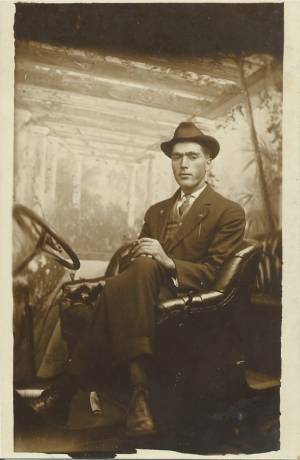 Clarence Richard Randall died on Sept. 4, 19307) (at age 40) when his automobile collided with a train at the railroad tracks just north of Lavonia, GA on the road to Pleasant Hill Church. 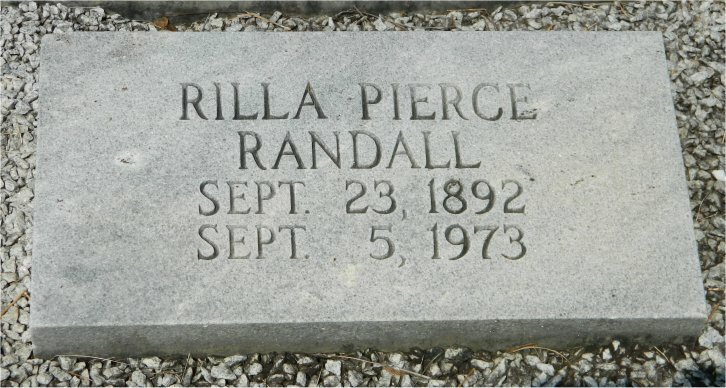 Both Clarence Richard Randall and his wife, Rilla Zuella Pierce Randall, are buried at “Pleasant Hill Baptist Church Cemetery”, Martin (Franklin County), Georgia. 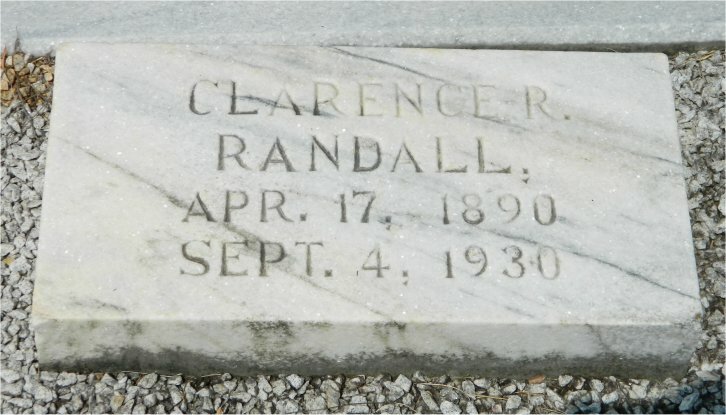 Gravestone for Clarence Richard Randall (April 17, 1890 – Sept. 4, 1930).